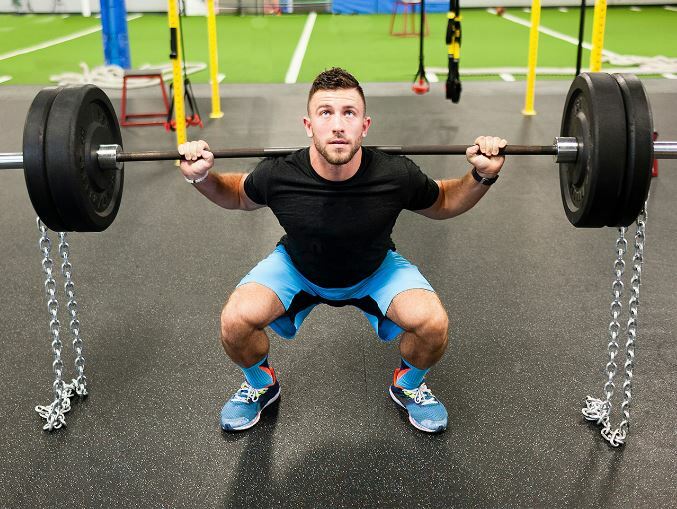 “These exercises work because they recruit a significant amount of muscle mass, and the amount of muscle mass recruited during an exercise has been shown to be an important factor in the release of testosterone,” King says. 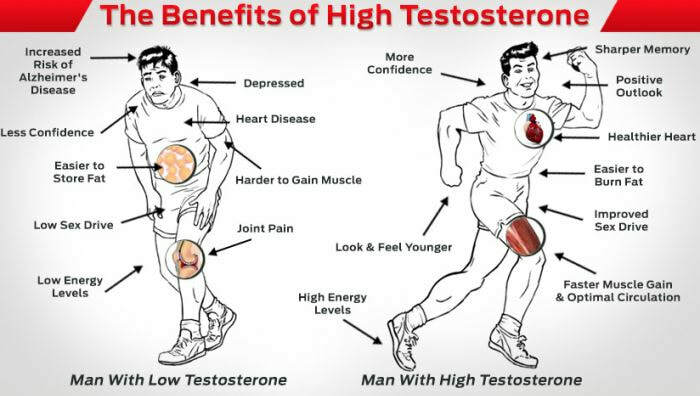 To maximize testosterone levels, prioritize the big lifts; ideally, you should do a total-body workout three days per week. 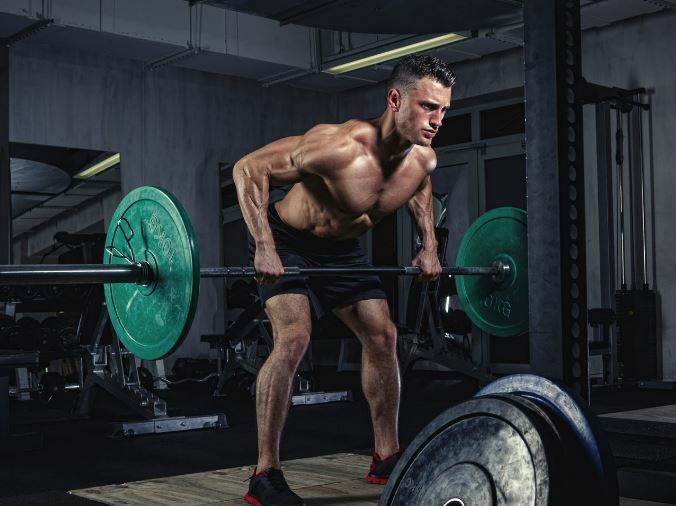 Testosterone-building workout: How it works While this workout lacks the flashiness of a body part split, the exercises selected here hit all the major movement patterns (hip hinge, squat, vertical and horizontal push, and vertical and horizontal pull), and maximizes your time spent in the gym. Directions Perform the workout featured below three times per week on nonconsecutive days, King says. “An added bonus of this training system is that it allows your weekends to be rest days.” Exercises labeled with a letter (“4A” and “4B,” for example) are performed as supersets: Do the second exercise set right after the first one, resting only after the second set. Each workout, change up the routine by doing a variation of the deadlift or squat. 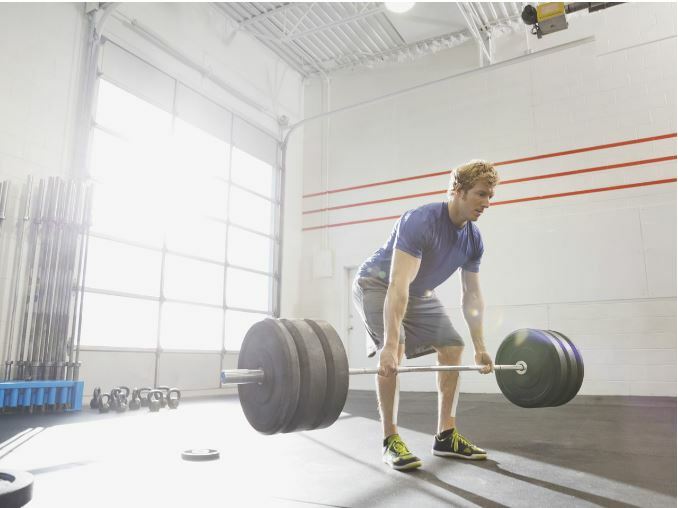 For the deadlift, you can do a suitcase deadlift, sumo deadlift, deficit deadlift, or Romanian deadlift. For the squat, you can do front squats, back squats (high or low bar), or safety bar squats. In both cases, make sure you adjust the weight accordingly. For the deadlift and back squat, use a weight at 80% of your one-rep maximum. 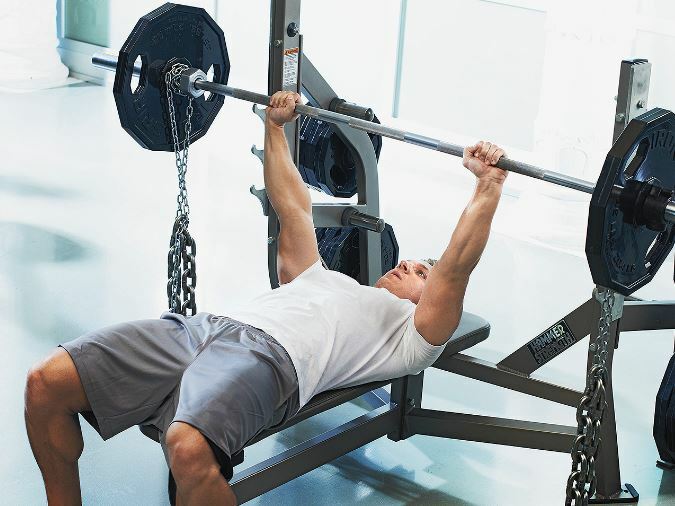 For the bench press, shoulder press, and bent over row, use a weight at 70% of your one-rep maximum. Deadlift: Sets: 5, Reps: 5, Rest: 5 min. Back Squat: ​Sets: 5, Reps: 5, Rest: 5 min. Set a barbell on a power rack at about shoulder height. Stand in front of the bar and grasp it with hands at shoulder width and raise your elbows until your upper arms are parallel to the floor. Take the bar out of the rack and let it rest on your upper back—as long as your elbows stay up, you’ll be able to balance the bar. Step back and set your feet at shoulder width with toes turned out slightly. Squat as low as you can without losing the arch in your lower back. Bench Press: Sets: 4, Reps: 8, Rest: 2 min. Bentover Row: Sets: 4, Reps: 8, Rest: 2 min. Shoulder Press: Sets: 4, Reps: 8, Rest: 2 min. ​Adjust the seat of a shoulder press machine so that the handles are at shoulder level. If you have shoulder problems, and if your machine allows it, grasp the handles so your palms face each other. Otherwise, grasp them with palms facing forward as normal. Make sure your elbows track in a normal pressing path as you press the handles overhead. Chinup: Sets: 4, Reps: 8, Rest: 2 min. Grab a pullup bar underhand at shoulder width. Hang from the bar and then pull yourself up until your chin is over it. 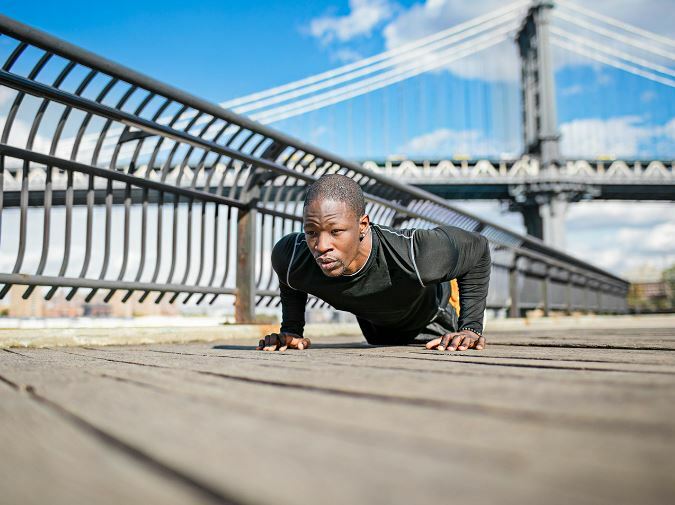 Pushups: Sets: 4, Reps: 10, Rest: 2 min. Place your hands on the floor at shoulder width, keeping your abs braced and your body in a straight line, squeeze your shoulder blades together. Lower your body until your chest is an inch above the floor.